When I was seven or so I used to look like the Michelin man. In the jollier days, our family would pack our bags once/twice a year and jet off to Northern Cyprus. That’s the other half yet to adopt McDonalds, where produce is rich and capital struggles, but that’s a story best told on Wiki. A lot of their tiny population make ends meet by harvesting fruits and vegetables and selling it off to traders. For the best part of these holidays, I’d climb in my Granddad’s rusty blue van and in under 10 minutes we’d arrive at his corner of Cyprus land. There were hundreds of vine trees all perfectly aligned for as far as my eyes could see. It was so easy to get myself lost in the vibrant greens that I almost didn’t mind getting my kankles stuck in mud whilst trudging towards the vine leaf drooping closest to the ground. Also, have you ever tried eating a raw vine leaf? My mouth would stop at nothing. On another day I’d climb the ladders resting on the loquat trees and pick bucket-fulls of marvelously yellow and catatonically flavoursome ovals with my step nan. Her land was denser than Granddads. The leaves were darker green and the loquat bearing trees were sky high. If I were to go back, 10 years later, I’d probably be in for a sizeable shock. I was never taken to where the fig trees grew, which was a shame really, because I was such a fig fiend. I was emotionally connected to them, right down to the shape of the fruit, they kind of look like the Michelin man’s teardrops – overly plump at the bottom. 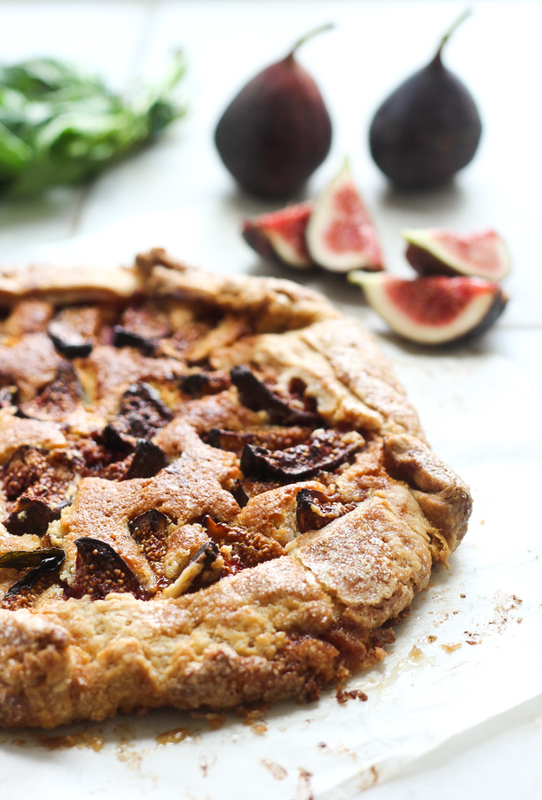 The under-ripe green figs had the best flavour; the centers were always lusciously pink and the taste fresher. 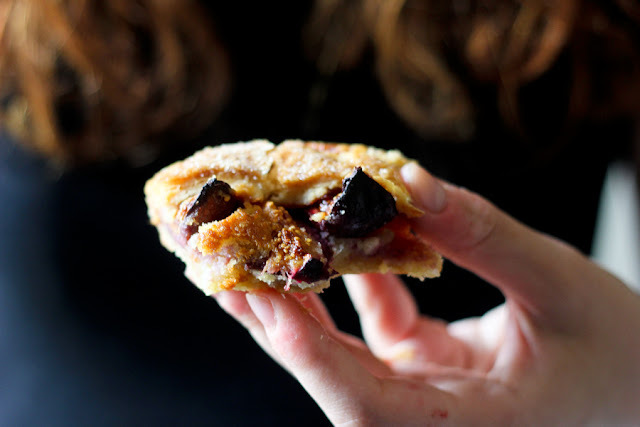 The pulp and goo of the fig's core, although cringe worthy, was the perfect consistency. 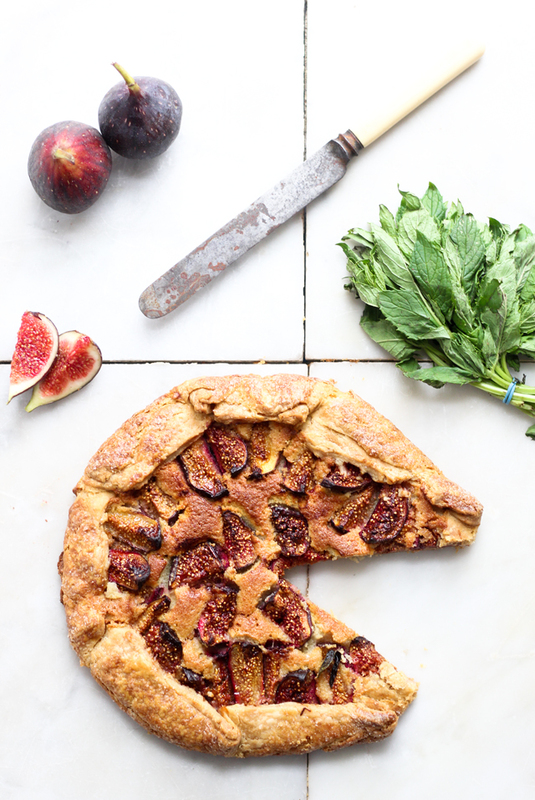 Poking mint leaves into the crostata’s folds gives it an added Mediterranean kick, and what’s a crostata without frangipane? 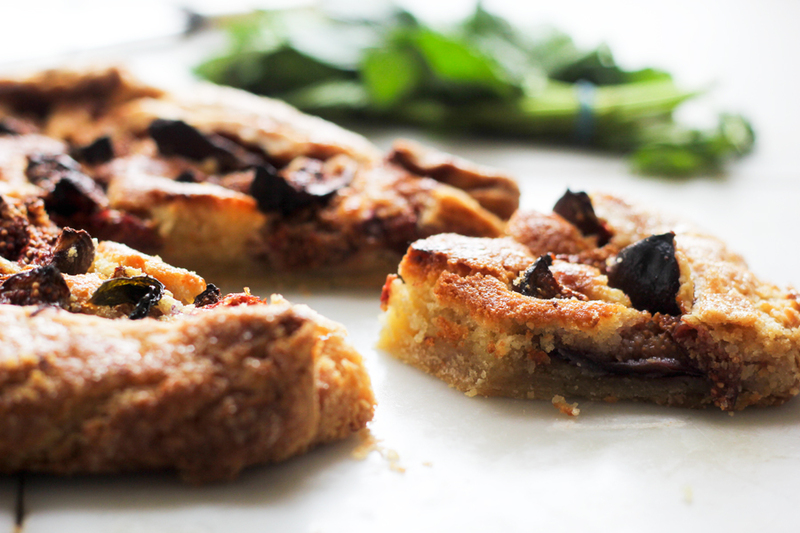 What’s a dessert without frangipane, or a breakfast? 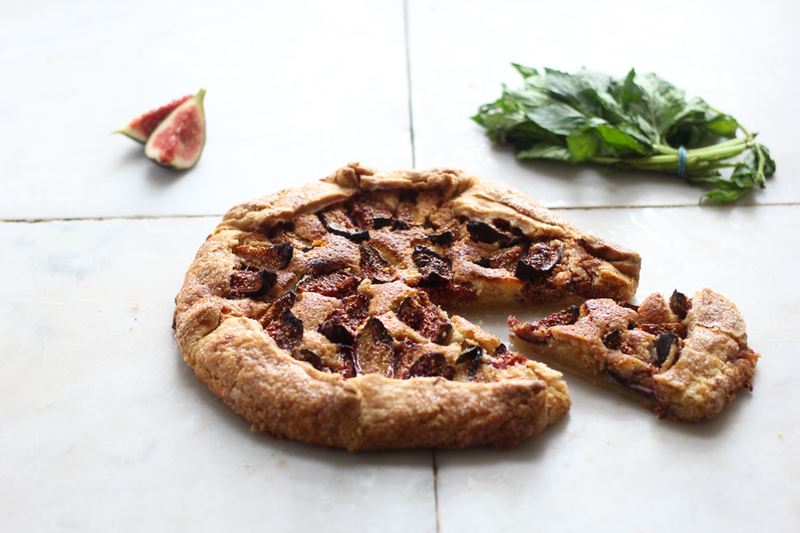 Almonds, sweet scented roasted figs and refreshing mint piled together on flaky rich pastry dough: it’s also simple to put together. All it takes is smearing the butter into the flour with the palm of your hand, no ice water on the side, no need for a marble work top, just pliable pastry that comes together really easily. Note: For better pastry, make it a day in advance and leave to firm up in the fridge. Note II: Green figs are hard to come by in England, but if you can get some, then definitely use these instead of their ripe counterpart. Start with the pâte brisée II. In the bowl of stand mixer with paddle attachment, or normal bowl, stir together flour, sugar and salt. Scatter cubes of cold butter over the top and mix for 50 seconds until you have walnut sized pieces of butter and flour. In a cup, stir together milk and egg. Pour the egg straight into flour mixture and mix until everything has just started to come together; about 30 seconds. Put the mixture atop a clean surface and gather into a mound. Then, using your palms, slide your hand across the surface of the dough until all of the butter is smeared into the flour, but you can still see thin streaks of butter. Scrape each part of the dough with your palms twice until eventually, everything comes together. Wrap the dough in cling film and flatten into a disk. Place in the fridge for 4-24 hours. Prepare the frangipane. In a freestanding mixer with the paddle attachment (or a spoon), cream together the butter and sugar until pale and fluffy. Add ground almonds and mix for 1 minute. Scrape down the sides of the bowl. On low speed, add the egg, then the flour, vanilla & salt. Set aside. Cut the figs in half, and then in half again to produce little quarters. Add them all into a bowl with the lemon juice and stir to coat. Set aside. Line a large baking sheet with parchment paper. On a floured surface, roll out the dough into a circle 10 inches in diameter and place on the baking sheet. Using a spoon, evenly spread the frangipane in the middle of the dough about 7 inches in diameter, making sure to leave 3 inches around the edges completely uncovered. 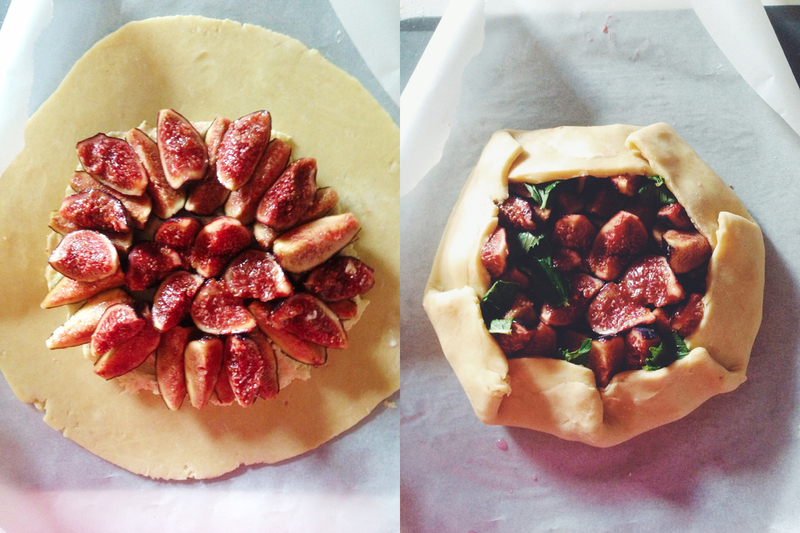 Place all of the cut figs into the frangipane in a decorative way. Take one side of the crostata and fold the 3 inch boarder up and over the fruit. Take another piece adjacent to the fold you just made, and fold that over. You should end up with 7 pleats. Squash the mint leafs between the figs, making sure they're well spaced. 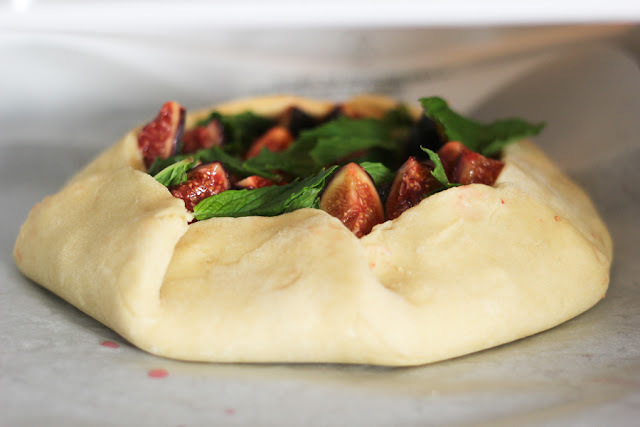 Refrigerate the crostata for 30/60 minutes. Preheat the oven to 180 C. Generously brush the crostata pastry with the beaten egg, then evenly sprinkle with sugar. Bake for 1 hour 10 minutes, or until the sides are completely golden. Leave to cool on the baking sheet for an hour. Remove the mint leaves once cooled. The crostata will keep for 2 days. Hang on a minute, isn't that a galette? 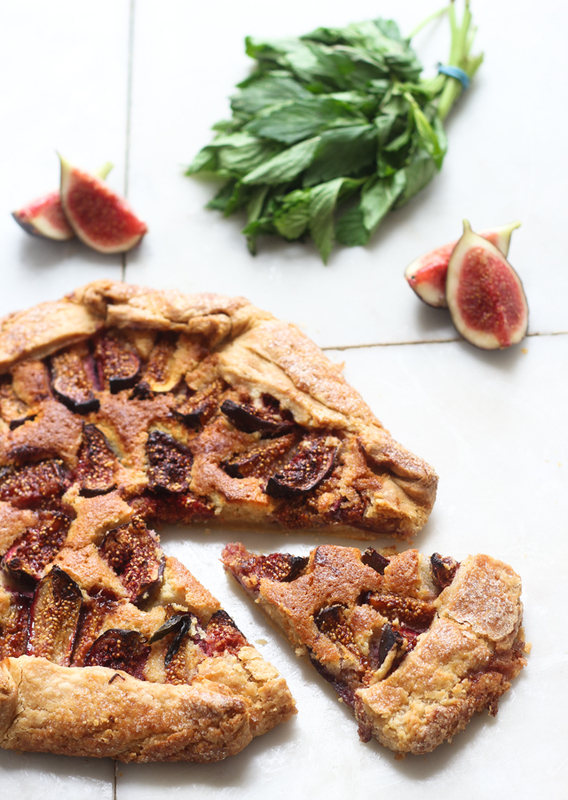 Or a crostata? What's the difference?! Somebody. This is so pretty, I'd love to try this. This looks so incredibly beautiful. 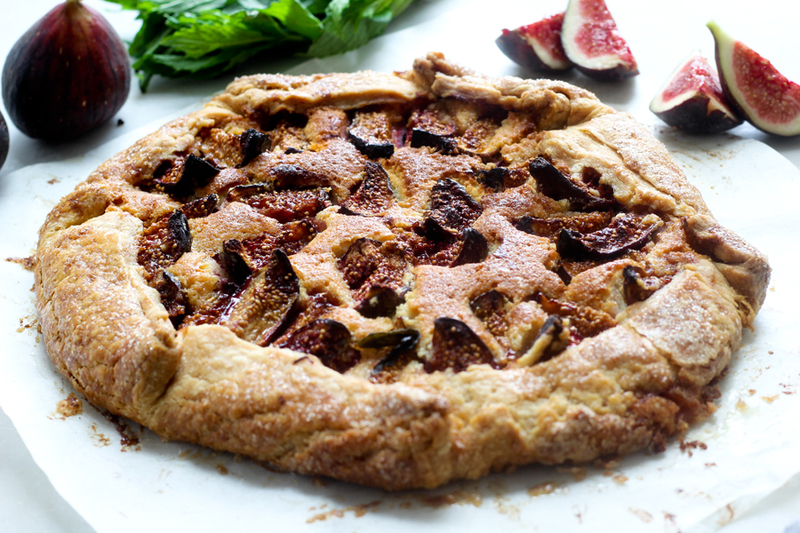 I love the combination of fig and frangipane and somehow this is even more elegant than a structured tart. Thank you, please do and let me know all about it ! Beautiful looking crostata! 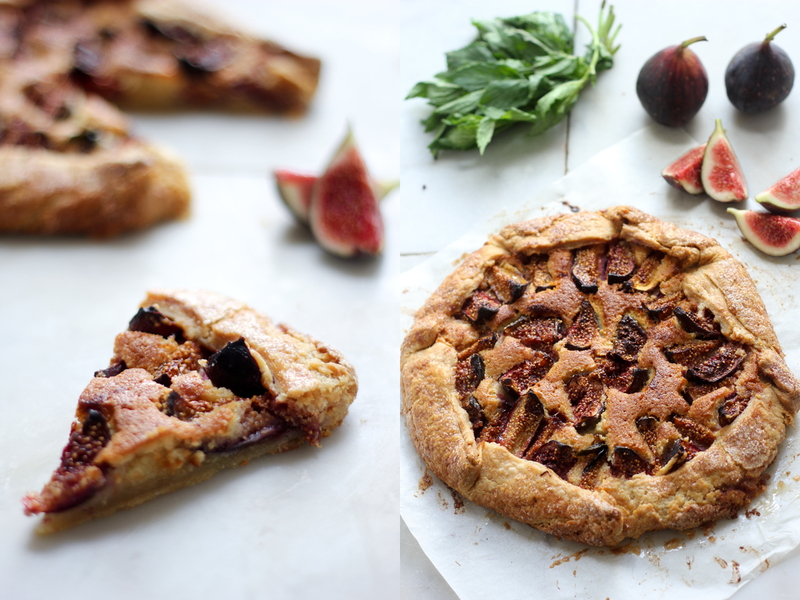 I love the idea of the almond frangipane underneath those wonderful figs! Thanks Nelly! It almost tasted like a jam tart! !